Pierce the Veil has gained a reputation as one of the hardest touring bands in the world, as the group seems to constantly be on the road. The San Diego-post-grunge rock quartet was started by brothers Vic and Mike Fuentes. With Vic handling the vocals, along with guitar duties and Mike on the drums, the pair brought Jaime Preciado on board to play bass, along with Tony Perry on the guitar. The group released its third album ‘Misadventures’ last year. The album peaked at number 4 on the Billboard 200 chart. Before setting out on the road at the end of the summer with Rise Against, Pierce the Veil is touring the nation playing festivals. The group will make a stop in St. Louis on Saturday to play Pointfest. 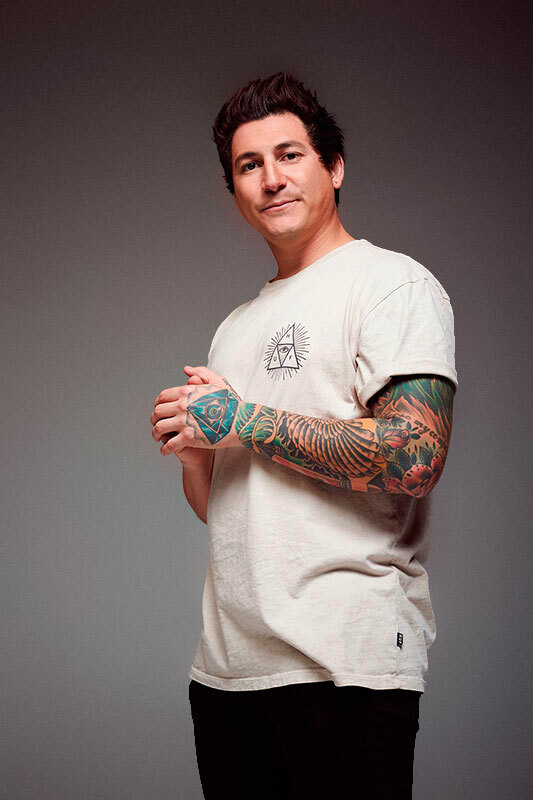 We recently chatted with Preciado about being in the band. I mean I think for us, it’s new. It’s our first time of being part of these crazy radio rock festivals and it has been awesome. The main thing is playing to new fans. Playing for people who come to the show look for new music and maybe stumble across are stage and get to watch our show. We take every festival show like it’s a great way to get new fans. Are there any bands you’re looking forward to seeing on Saturday? We’ve done so many festivals we can’t even keep track of who’s playing. Yesterday we played a festival with Soundgarden and it was kind of crazy to think about. It’s like, how the hell did we get here? Bush played before us yesterday and it was crazy hearing Gavin (Rossdale) singing Bush songs that were big when I was younger. Soundgarden is the epitome of how a band can have that kind of reach to their fans. The other day I was in the crowd and I heard ‘Black Hole Sun’ and I never thought in a million years I would be watching this and being a part of this festival. It’s a big deal to us. Touring with Rise Against in September. Is there a band you really enjoy touring with? I mean honestly, being able to tour in general is such an awesome thing. We are really excited. We are huge fans of Rise Against. It’s going to be a great tour. We try to hang out as much as possible with all the bands we tour with so we become this tight knit family. It’s not just about one band on the tour. We try to get everybody together. It’s like a big community. It’s been around a year since your most recent album released. Any plans for the next album? Yeah, I think actually, yesterday was a year to the day. We had a little celebratory hooray. That’s always in the back of our minds. We are really focused on playing these shows and on what’s coming up. We’ll be going to Europe and the UK to do some shows and festivals there, so we’ll be busy the next couple of months. Once we get back we’ll start writing. What’s the best/worst part of touring? I guess the best part is the fact I get to play music with my friends every night and getting to visit all these places. It’s pretty wild, if you would have told myself that we would be on tour with SUM 41 back when I was 15 or 16, I wouldn’t have believed you. The worst part, I don’t if there is a worst part. We’re super fortunate to be where we are. You miss your dog, girlfriend, and family, but that’s just part of it. I can call my girlfriend on the phone, but my dog thinks I just disappeared. Before going out on tour, is there anything you do to get ready? Yeah, nothing crazy. We try to get together as much as possible to get everything dialed in. I’ve been recently trying to get my pilot’s license. It’s difficult to do when you’re on the road. I’ve been getting close to that, but when you’re only home for a week at a time, it becomes hard to get stuff done. That will be on the agenda for the next time I’m home. I’ll try to check that one off. What would you be doing if you weren’t playing music? I went to school for audio production, so I feel like if I wasn’t making music, I would be somewhere helping someone make music. I have a feeling I would still be involved somehow. Being on tour for an extensive period of time can be mentally taxing, how do you and the other guys keep from getting on each others nerves? We’re very lucky to have the guys in this band who love what they’re doing. We love underhand tossing games. When the weather is super nice we like to hang out and have a good time. We play this underhand tossing game that’s popular in Russia, it’s similar to bags. It’s this crazy Russian game you play with wood blocks. We’re all pretty competitive. We try to have a good time and keep the good vibes going. When you’re not making music, what are you doing? We all recently got new places. Doing house stuff is nice to feel like a normal human. I feel like we’re always in that moment that we want to be on tour or in the studio. It’s like a cycle of how we operate. We’ve been doing this for so long, it’s been in our rotation of what we do. Don’t get me wrong, everyone loves to go home and chill, but I think all the guys will tell you that after a week at home, you kind of get a little stir crazy. Thinking about fans who may not be that familiar with the band, what should they expect from your performance on Saturday? I always answer this questions with something our old merch guy use to say to us. He’d always say, “Well that was a high-octane rock gig.” I love that high-octane rock element. Having played small venues like The Pageant and larger venues for festivals, do you have a preference of the type of venue you like to play? I like playing both. I like playing the intimate, close venue, where you pack out a small room full of a ton of fans, but I also like playing a large venue. They’re just two different animals. To be comfortable in both is something that’s hard to do, if you’re not used to it. I think everybody loves the big outdoor, crazy venues. I think I’ll keep it punk rock and say the more intimate, indoor venues are probably my favorite. 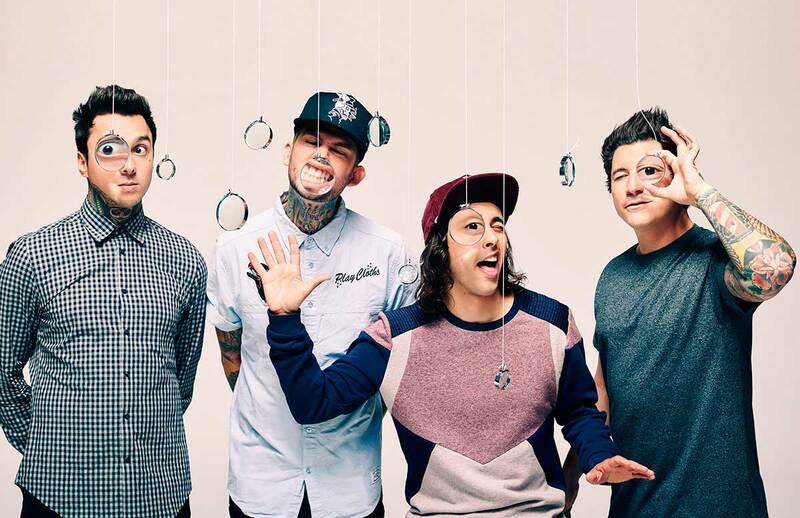 Pierce the Veil will perform at Pointfest on Saturday, May 20 at Hollywood Casino Amphitheater. Tickets are still available at livenation.com.